My baby turned 1 a few weeks ago. Crazy. I can't believe how fast the last year has gone. 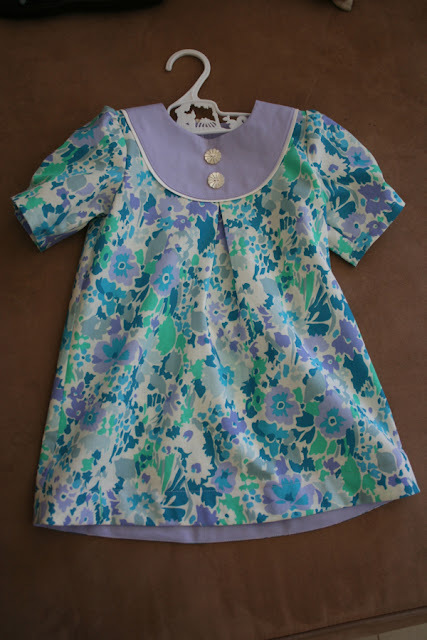 I really wanted to make her a special little dress to unwrap on the big day, and keep as a memento of how little she is (my older kids have been big, tall babies; Baby A has bucked that trend and is a very petite little thing - such a novelty for me!). 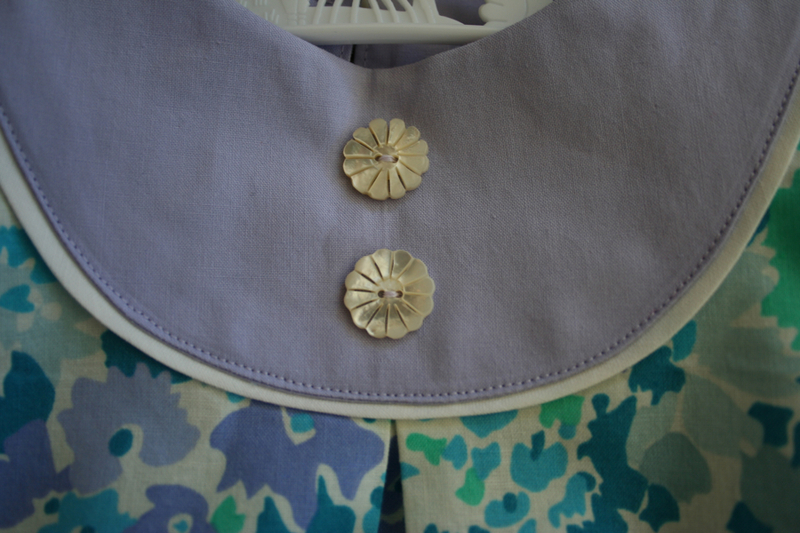 I've never sewn the Oliver + S Playdate dress before (although I've been lucky enough to receive one, thanks Nicole!). I think it looks cutest on little girls so I was keen to sew one before Baby A gets too big. It went together beautifully, like all O+S patterns. The fabric is from Liberty's new quilting cotton range, Bloomsbury Gardens. I bought every print in the aqua/turquoise colourway as I just adore it. The quality of this fabric is just amazing. It has the same smooth and silky qualities as the tana lawn, but obviously in a heavier weight fabric. It's much cheaper than the lawn too which is hugely appealing. 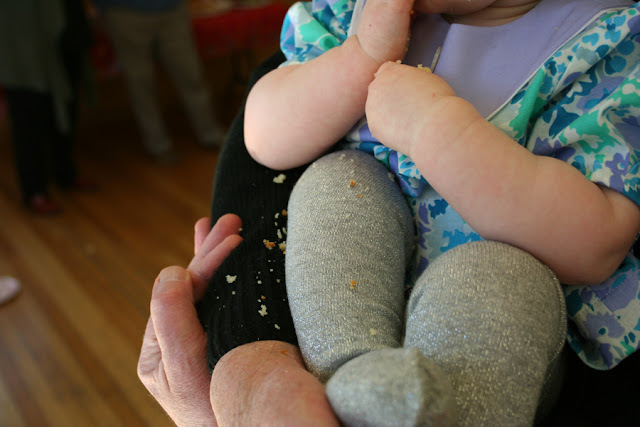 I mentioned on this blog a year ago that Baby A is hearing impaired. It's been such a rollercoaster of a year dealing with her hearing loss and all that entails. One year on and I think we have more questions than answers - we still don't have a clear picture of her hearing loss, except that it is worse than we first thought. We've been plowing away at the early intervention since she was 7 weeks old though, and now, at 12 months, Baby A is doing beautifully. She has so many words (more than my kids with normal hearing did at her age) and is coping pretty well with her hearing aids. I still worry about her, but I wish I could travel back in time and tell myself that it's all going to be okay. Many happy returns of the day sweet little girl! I love the colours of that fabric.